We know a lot goes in to selecting how your business will look – the design of your lobby, the signs you will use and the paint and art you may hang on the wall. But what about choosing items that will help make your place of business safe? Do you know what the best floor mats for your business are? 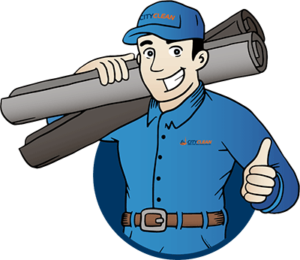 Did you know that safety mats go a very long way in protecting people who work for you and those that frequent your business? What type of business you have? Do you operate in all seasons? What type of flooring do you have in your space? What type of impression do you want your business space to make? Once those questions have been answered, it can be determined which mats make the best choice to ensure a safe environment. Industrial, food services and health care industries should consider anti fatigue mats. These mats are designed to make it more comfortable for those employees that spend a lot of time on their feet. Anti fatigue mats can reduce injuries and make the work space a safer place. Businesses that may have grease or other slippery agents on their floors need to consider mats with the right backing to ensure the mats stay in place and do not cause slips and falls. While not all businesses operate in a variety of weather, businesses throughout the Greater Toronto Area will certainly be faced with rain and snow. With this wet weather brings an increase in water and dirt into the work place making it more common to slip and fall. Waterhog mats or similar mats that have the ability to keep the water in the mat and off the floor are important tools in creating a safe walking environment. Not all mat backing is the same. Depending on what type of flooring you have, you will want to select the right type of mat that will not only protect your floors (carpet, hardwood or ceramic) but that will also stay put and not cause people to trip and fall. Having the best floor mats to create a safe environment doesn’t have to mean your mats won’t look good. Once the right type of safety mat is determined, you can work with a floor mat expert to customize the size and colour you need and even add your logo or a message to enhance the look of your space while keeping everyone safe at the same time. Slip and fall accidents are a huge issue for businesses, but there are precautions you can take that will help you avoid injuries. 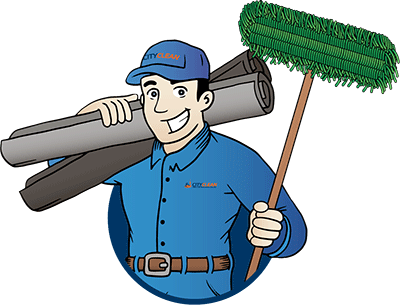 City Clean can provide you with products and services that will bring you peace of mind and assist you in managing safety in your work place. 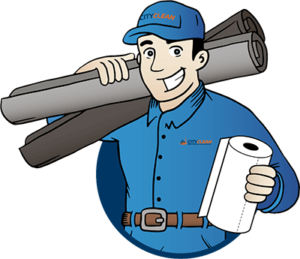 With a variety of quality mats and facility maintenance products, we can support all of your floor mat needs. For more information contact us at 1-877-649-7747. ‹ Why Use Waterhog Plus Mats?